+ Are you ready to keep battling against the undead? The Zombie Apocalypse has just begun! A death pandemic is spreading, and people are starting to mutate into some kind of walking dead. 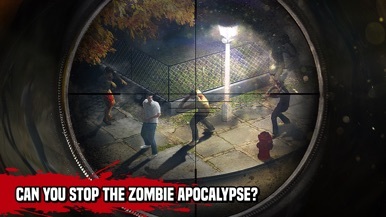 Help survivors by killing the zombie outbreak and stop the end of the world. Travel to wasteland, take your rifle and try your sniper skills shooting the unkilled! 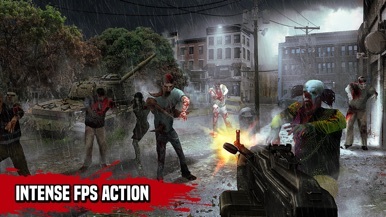 You will need strategy and precision to stop the assault in this zombie action shooter game. Keep your finger on the trigger, survive and shoot to every living dead! Download Zombie Hunter, Post Apocalypse Zombie Survival Games, and start killing living deads right now! Become the ultimate zombie killer and stop the undead infection! Create a defense, take your fire weapons push the trigger! Shoot zombies hordes, defeat zombie bosses in special missions, play as a death zombie instead as a survivor, use dogs to help you to find treasures and kill enemies. 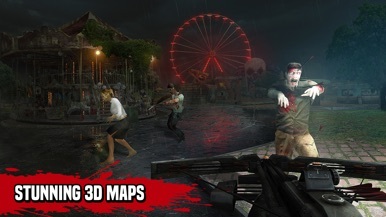 You have many ways to play Zombie Hunter, the top 1 fps zombie survival games! Travel to wasteland and kill zombie enemies through tens of defense missions. Use your sniper rifle and shoot every walking dead to save yourself. Stop the dead rising and survive one last day in the best zombie shooting games! Do you prefer sniper rifles, assault rifles, bazookas or machine guns? Choose your favorite one, push the trigger and upgrade them! Fight a living dead pandemic army in one of the funniest free zombie games. Zombies are more death and real than ever! You will be impressed by graphics, gameplay and soundtrack. 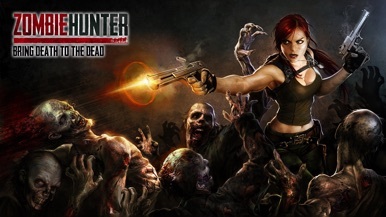 Zombie Hunter is the best post apocalypse zombie game with FPS, defense and action elements! Do you like zombie games online or free zombie games offline? Play Zombie Hunter wherever you want. Enjoy this wonderful FPS zombie action game. Stop the death pandemic. Finish the infection in the last day of the planet! If you like post apocalypse First Person Shooter (FPS games), zombie survival games, sniper games and action war games, you will enjoy Zombie Hunter! 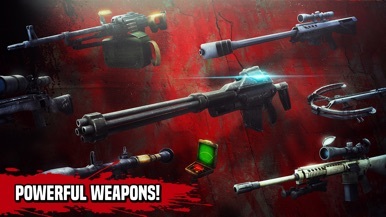 Join the Zombie Hunter army and start shooting every walking dead in the ultimate zombie sniper game!